How to Design a Home Gym You’ll Want to Use Every Day! When it comes to designing your home gym, there are a few details you should consider before you go ahead with the project. 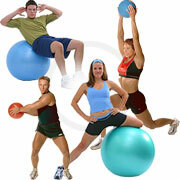 Among those details is the likely frequency of use; will you be using you home gym regularly – more than once a week? Or, will you only use it occasionally, say once every two weeks or less? Basement rooms are popular for home gyms and it’s easy to see why. They’re accessible yet out of the way of everyday life, in many homes. There’s also power down there and usually, easy access to a shower room. If your basement is already home to something or someone else, don’t worry. A home gym can work in other rooms, such as a garage or outdoor building. If you’re keen on a variety of equipment and machines, then ground floor locations such as these two will make it easier to install them. And, creating a lighter area will be a little easier too, as any window or opening you add should automatically allow light in. Choosing an upstairs room of your home for a gym can have its benefits. But, if you’re planning to include heavy equipment, you’ll need to be sure it can be manoeuvred around easily and isn’t too heavy. How Much Equipment Do You Really Need? If you have the space and budget, then going for a home gym with as many as five or more machines is fine. However, not everyone is in this position, so you need to pick and choose carefully. Just two or three items of this equipment, combined with a few weights and a separate workout area for your own weight bearing workouts, make an excellent and well-equipped home gym. And remember, while it’s great to have everything in place all at once, it’s not essential. You can grow your home gym over time, adding new machines and equipment, as and when you need it. Adding fancy touches like soundproofed walls, a great sound system and wall-fitted weight machines is probably the home-gym everyone would like. However, it’s not always possible. So, rather than worrying about what you can’t have, focus on what you can include and make it great. Don’t have a built-in killer sound system? Invest in a good wireless speaker and get a good music app. Think a water-cooler might be too much but still want cold water on tap? Buy a beer fridge and fill it with bottles of water. There are so many ways to make your home-gym feel like a members-only place, you might just need to think out of the box, sometimes. But remember, the most important detail about your home-gym, is that you enjoy using it and it has everything that you – and whoever else uses it – needs.